No more hiding in long sleeves and jeans! 1. Try the yogurt-vinegar combo. Is lemon or calamansi extract too harsh for your skin? Replace the citrus routine with yogurt and vinegar. The lactic acid in yogurt and the acetic acid in vinegar are brightening ingredients that help lighten discoloration. Combine a teaspoon of yogurt and white vinegar until you get a smooth mix. Apply this on the dark spots and wash with warm water. Do this two to three times a week for immediate results. 2. Take your dose of vitamin E.
This beauty pill can help moisturize the skin, reduce signs of aging, treat sunburn, and brighten your skin tone. Definitely a must-have on your beauty kit! 3. Exfoliation is a must. Choose a mild exfoliating scrub to get rid of dead skin cells. Up for a DIY? Mix sugar and olive oil, and gently rub the mixture on your elbows and knees for five to 10 minutes until the granules become smaller. Mild enough for sensitive skin but effective when done on a daily basis. It doesn't hurt to get a bit of help from skin brightening products you can trust. 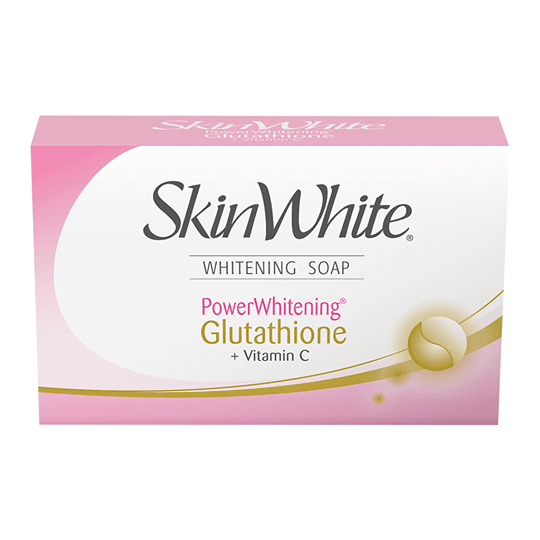 To treat dark elbows and knees, use something like SkinWhite PowerWhitening Glutathione + Vitamin C Soap. We love how this product comes with a multitude of benefits, like having glutathione to help give you glowing skin. Glutathione is a powerful antioxidant that aids in giving a healthier and younger-looking complexion, so it aids in brightening stubborn marks with continued use. In addition, the product also helps block UV rays, preventing melanin production, and skin darkening. It uses Advanced TriPower Technology and comes packed with vitamins A, B3, C, and E. It can also help moisturize and smoothen the skin! Know more about the product by checking their Facebook, Instagram, and Twitter. 5. Invest in exercise gear. A weekly dose of planks and push-ups causes friction. The result: darker elbows and knees! Get yourself a set of elbow and knee pads so you can rest them on a softer and smoother surface to avoid too much friction.